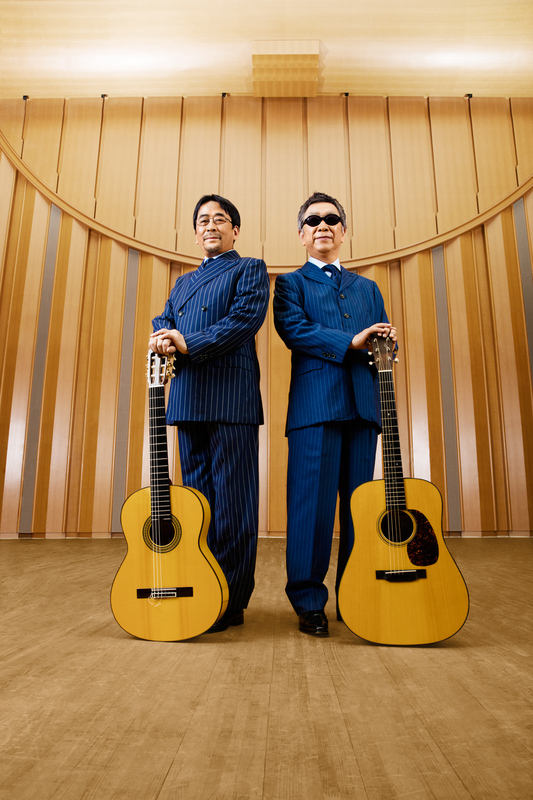 Acoustic guitarists “GONZALEZ” Mikami and “TiTi”(pronounced Chi-Chi, as in the Charlie Parker masterpiece) Matsumura teamed up in Osaka in1978 to form “GONTITI”. Over the past two decades, GONTITI has topped Japan’s Jazz and Instrumental charts for months at a time, with compositions that include some of the country’s best-loved TV and radio theme songs, the Japanese Academy Award-winning soundtrack for Naoto (“Shall we Dance”) Takenaka’s “Muno no Hito” as well as international hit CDs like “In the Garden” and “Devonian Boys”. GONTITI fuses Django Reinhardt-flavored jazz, bossa nova and an ineffable Japanese sensibility TiTi likes to call “bath time music”. Playing everywhere from classical concert halls to Buddhist temples, GONTITI has been acclaimed as Japan’s most unique adult contemporary sound, “The Most Comfortable Music on Earth”.